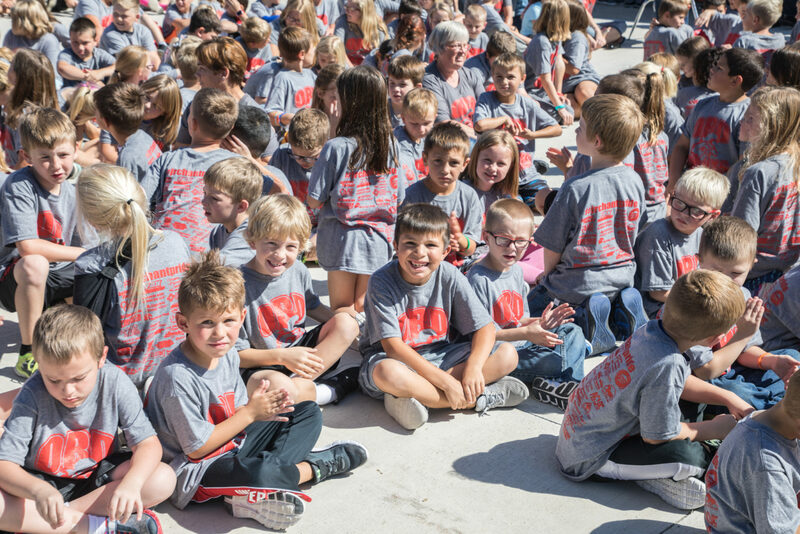 The kids were all dressed in matching t-shirts – sitting and squirming in the September afternoon sun in Ord, Nebraska waiting to play. Their attention, for a while, was on the principal who was introducing people they’d never seen before. 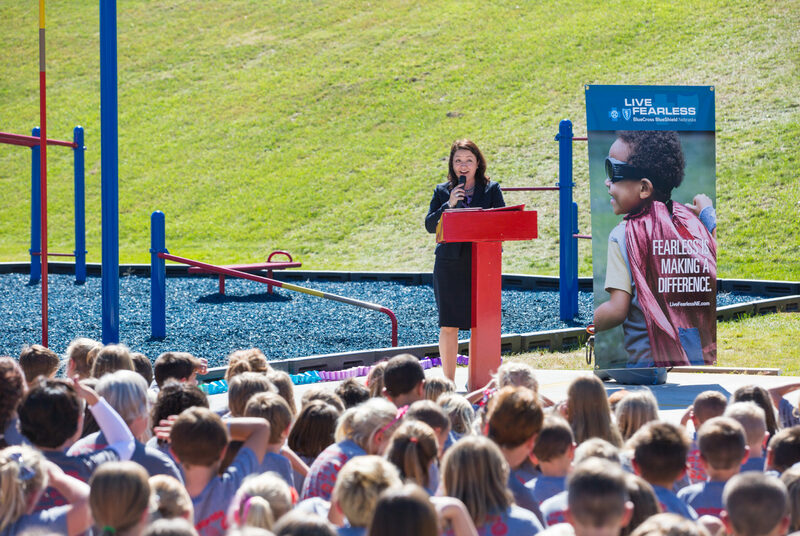 They sat in anticipation of what would happen next: finally after months of waiting, they would be allowed to use the playground/fit pit everyone was talking about. 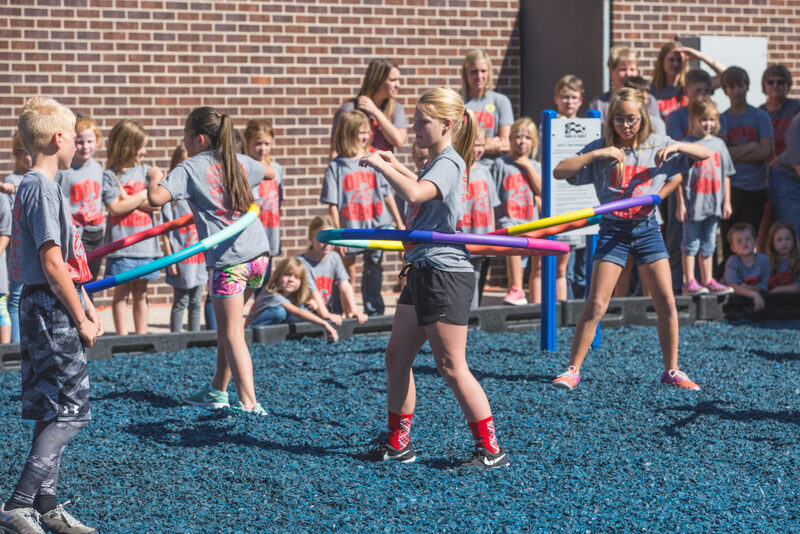 When the speeches were finished and the ribbon had been cut, the kids swarmed into the pit behind Ord Elementary School in Ord, Nebraska to do what they do best: play. The seven outdoor workout stations came alive with push-ups and hoola- hooping and chin-ups. 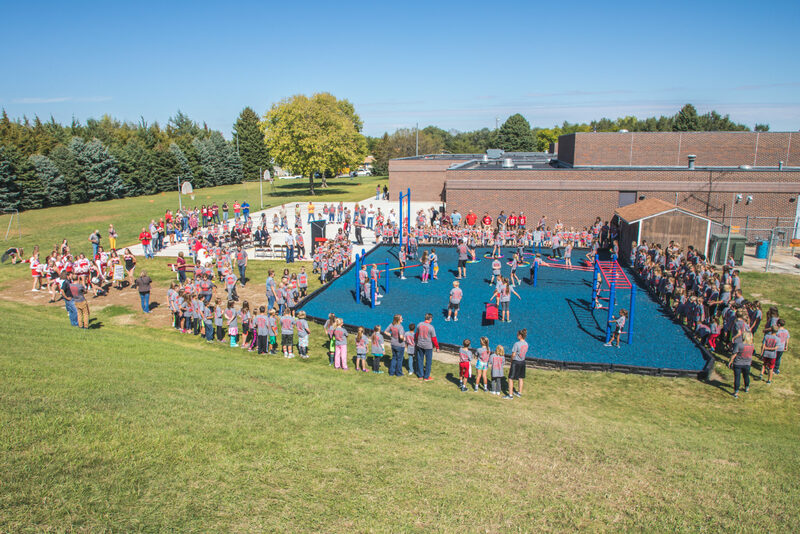 All made possible by an application for a Blue Cross and Blue Shield of Nebraska (BCBSNE) Fearless Grant award, submitted by Physical Education teacher Dexter Goodner. 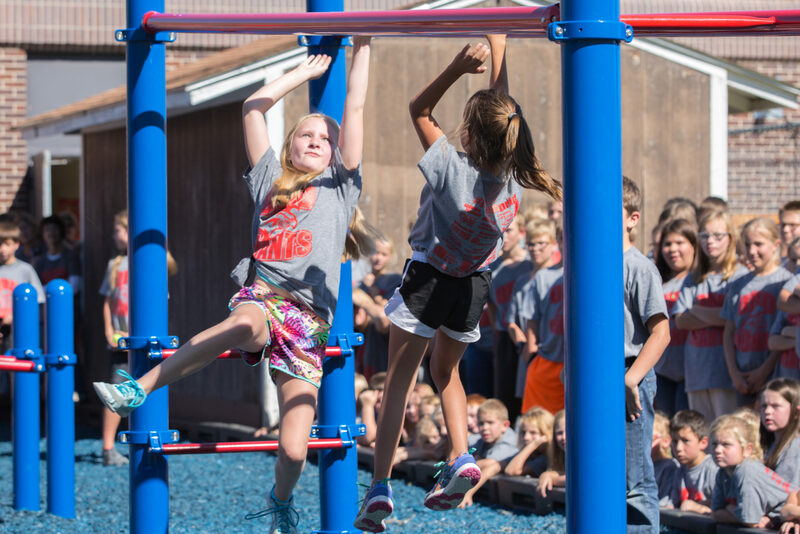 The $16,900 BCBSNE grant was used to purchase the equipment and provide a new PE curriculum. 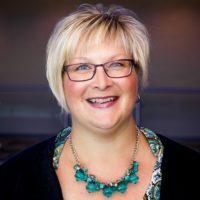 The curriculum includes a pre- and a post-test evaluation of each student’s growth in physical education through the year. This afternoon, you could feel the enthusiasm from Goodner and the children as they demonstrated all the exercises they could perform. It was well worth the wait.